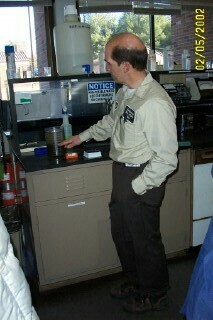 The high school technicians were enrolled in a class in waste water treatment and in commercial aquaculture. They expect to find jobs upon graduation from high school. 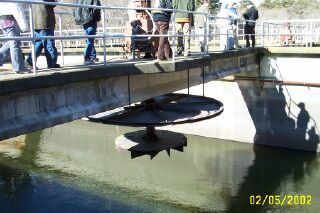 During the winter of 2002, a field trip to the Middleboro, MA wastewater treatment plant was arranged for the high school technicians. The plant managers and technicians lead a tour of the plant and explained what kind of certification is needed to get a job at a wastewater treatment plant in Massachusetts.